James Cameron Reveals 'AVATAR 4' Will Be A Prequel! For a while we have known now that part 2 & 3 in James Cameron's Avatar franchise will be shot back-to-back for obvious logistical purposes. Cameron has now also revealed he is looking beyond part 2 & 3. The director stated to MTV that he envisioned a fourth installment as a prequel. "I haven't really put pen to paper on it, but basically it goes back to the early expeditions of Pandora, and kind of what went wrong with the humans and the Na'vi and what that was like to be an explorer and living in that world. Because when we drop in, even in the first film in 'Avatar 1,' as it will be known in the future, we're dropping into a process that's 35 years in to a whole colonization. That will complete an arc and if that leads into more, we'll start, not imitating 'Star Wars,' but it's a logical thing to do because we'll have completed the thematic arc by the end of three. The only thing left to do is go back to see what it was like on those first expeditions and create some new characters that then become legacy characters in later films. It's a plan." The director also gave an update on the status of parts 2 & 3: "I'm writing two scripts together as one big thing." 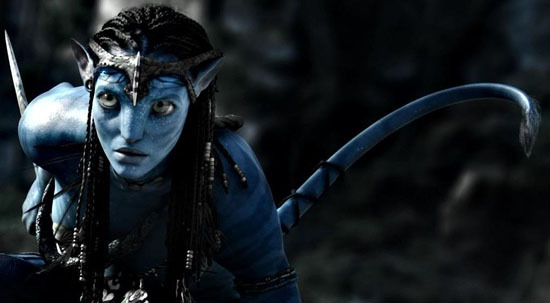 20th Century Fox has targeted a December 2014 release date for Avatar part 2 & a December 2015 release for Avatar part 3. I'm reading: James Cameron Reveals 'AVATAR 4' Will Be A Prequel!Tweet this!